Alexandra Spencer photographed by Daniel Kincaid for LF Stores Car Mar Venice denim look book. 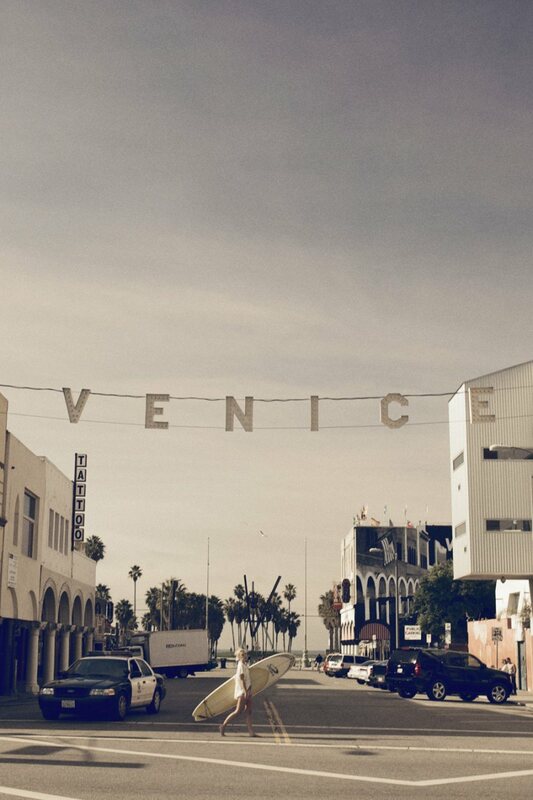 On location at the infamously sunny, surf hotspot, Venice Beach in California. This look book is the epitome of that coveted sunlit and carefree California lifestyle. One that so many of us crave and yearn for. And if you hadn’t before, well this photography and styling is going to catch you hook, line and sinker. A splay of beautifully muted and relaxed imagery, perfect to showcase the Spring 2012 collection of LA denim company, Car Mar’s gorgeous selection of washed out denim pieces. It’s those warm tones and Venice denim vibes. That sultry style of fringing paired with crochet and denim that has me itching for effortless days by the shore. And I must confess, I am overly besotted with the last ensemble. I am especially smitten with those lovely sloppy cut offs. And the hula hoop. While I won’t guarantee my childhood hula abilities remained, childhood nostalgia certainly awaits.